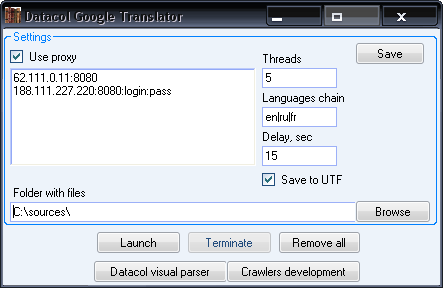 Datacol visual parser developers created free Datacol Google Translator for batch text files translation through Google Translate online service. – Easy and understandable interface (+pop up tooltips). You can download Datacol Google Translator from here.